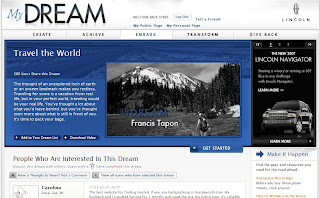 Mydream is an online community that allows people share their dream to each other. Wherever you are, whatever you do, your dream always stay with you even they are so far, maybe it always stay in your mind, never be true. With Mydream,you can join different groups, post your dream, write your blog, and share them with people whom have same dream. I do not know what is your dream, my dream is travel around the world.